Feeling the heat trying to find the best new air conditioner for your home? Hitachi Cooling & Heating claims to offer a premium solution to surviving Australia’s famously hot summers. So, with a boast like that, maybe it’s worth a look? Are you prone to allergies? Hitachi’s ‘E’ series wall-mounted split-systems are claimed to limit bacteria and allergen levels due to a Nano Titanium and wasabi solution coating on the filters. These apparently create an antibacterial, anti-mould, and anti-allergen and deodorising effect. Or do you want a bit more control over your air conditioner? The brand has a few multi-zone air conditioners designed to connect a single outdoor unit to several indoor units. Hitachi also sells a number of reverse cycle ducted units, so you can stay warm in winter and cool in summer. To help make shopping a breeze, we’ve a listed a few collections designed for the home and listed their features. Operating range between -15°C and 46°C. Many of the products also provide an indoor as well as an outdoor version of the unit, giving you more room to decide where you want to install your new Hitachi appliance. For a seriously cool air conditioner, products like the Hitachi RAC-80YHA might help make surviving summer a complete breeze. This unit is the most powerful wall-mounted split-system air conditioner in the brand’s ‘E’ series, providing up to 8.5kw cooling capacity and 9.5kw heating capacity. If that seems a bit too much, options like the Hitachi RAC-25YHA, Hitachi RAC-E35YHA and RAC-E50YHA might be more suitable. When it comes to energy-efficiency, the star rating seems to be fairly consistent across the range. Most models have a 2-star rating for cooling, and a 3-star or 3.5-star rating for heating. The only exception is the Hitachi RAC-E25YHA unit, which has a 4-star rating for cooling and a 4.5-star rating for heating. But keep in mind that this energy-efficient wall-mounted split-system air conditioner is the least powerful in the range, offering up to just 3.1kw cooling capacity and 4.4kw heating capacity. You can also choose to download the Hi-Kumo app to manage your air conditioner from the comfort of your smartphone. This free app allows you to power units on or off, adjust temperature and fan speed, and set custom schedules. Conscious about all the energy you’ll spend during summer? You might have to save up if you want to buy one of Hitachi’s premium ‘S’ series wall-mounted split-system air conditioners. Unlike the products available in the ‘E’ series, this range features an ‘eco motion sensor’ designed to minimise the amount of power you waste after leaving the room. If the room has been empty for 20 minutes, the temperature will apparently increase by 1°C (or 2°C if 60 minutes has passed since the last person was detected). The appliance will similarly adjust when operating the heating function. Compared to the ‘E’ series, the heating and cooling capacity of each model is pretty similar. The biggest difference is in the energy-efficiency ratings of the Hitachi RAC-S25YHA, Hitachi RAC-S35YHA and Hitachi RAC-S50YHA. These tend to provide approximately double the energy-efficiency star ratings of their ‘E’ series equivalent. The Hitachi RAC-E25YHA has a 5.5-star rating for both cooling and heating, while the Hitachi RAC-E50YHA similarly has a consistent 4-star rating. The Hitachi RAC-E35YHA has the biggest gap in the range, with a 3.5-star rating for cooling and a 5-star score for heating. If you prefer your air conditioner to be installed at ground level, a floor-mounted split-system might be the way to go. The brand only offers a couple of options in this range, including the Hitachi RAC-35NXA1 and Hitachi RAC-50NXA1. Compared to the wall-mounted units, there’s little differentiating the two types of split systems. The cooling and heating capacities of these two products, as well as the energy-efficiency ratings, are similar to the Hitachi RAS-E35YHA and the Hitachi RAS-E50YHA in the ‘E’ series. In the ‘S’ series, the equivalent units would be the Hitachi RAS-S35YHA and Hitachi RAS-50YHA. Do you have a larger home and need to make sure the airflow reaches into all the spaces? Hitachi’s collection of multi-zone air conditioners allows you to connect up to six indoor units to a single outdoor unit. The MultiZone system can power the appliances individually or simultaneously, giving you more control over where you want to cool or heat the home. Some of the models featuring the MultiZone heat pump include the Hitachi RAM-55QHA, Hitachi RAM-72QHA and the Hitachi RAM-110QHA. But if you only need to power small spaces, one outdoor unit from the IVX Multi systems series can similarly power several units. There are just a few models, including the Hitachi RAS-4HVNC1, Hitachi RAS5HVNC1 and the Hitachi RAS-6HVNC1. 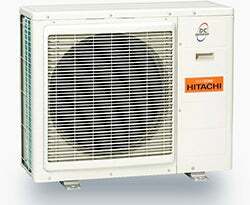 Hitachi offers several ducted reverse cycle air conditioning systems in a variety of sizes. The range includes two collections, Hitachi RAD ducted systems and Hitachi RPI ducted systems. 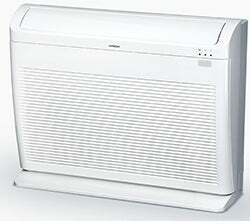 For energy-efficiency, both RAD and RPI ducted air conditioners include Eco Mode. This is said to ensure that each unit operates at a slightly lower reduced temperature to minimise the amount of energy used. Each unit also comes with a remote controller containing a ‘7-day timer’. The timer allows you to ensure the unit automatically switches off when you leave for work, before turning back on when you arrive home. If you want to save even more power, the Hitachi Rad Series has an ‘ultra-low’ standby power function. Should I make the switch to Hitachi air con? 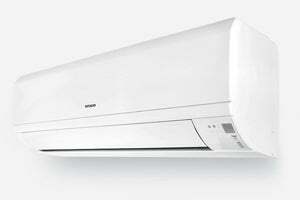 Does Hitachi have the best air conditioner to suit your needs? Hitachi’s ‘S’ series of wall mounted air conditioners is said to provide a DC inverter as well as advanced features such as an eco-motion sensor mode. The built-in motion sensor might be especially handy for people who want to save power as the function is designed to automatically adjust its temperature settings based on whether people are still in the room. Hitachi ducted split systems similarly contain energy efficient features. Stuck in a hot and stuffy space, dreaming you were outdoors? The Hitachi ‘E’ series wall mounted air conditioners is designed to mimic ‘outside temperature’, offering a temperature range between -15°C and 46°C. These models similarly include a ‘powerful mode’, which apparently helps promote air move further and quicker throughout the room. Although if you’re looking for versatility, Hitachi’s range of multi split-systems might be more suitable. These products can be used all year round and might prove to be a preferable alternative to anyone wanting a more convenient way of controlling multiple air conditioners in different rooms. But don’t settle with the first air conditioner you see. Make sure you compare a variety of units on the market. Head over to our customer ratings page for plenty reviews on brands like Kelvinator, Mitsubishi Electric, Fujitsu, Daikin, Panasonic and LG.